Biscuit crunch milk chocolate bar. Bored of regular chocolate bars? Add a light crisp to those soft, melting choco-treats by opting for this special biscuit crunch chocolate bar. This delicious variety of chocolate is made from fresh, crunchy biscuits perfectly blended with rich, creamy milk and cocoa. These biscuit crunch chocolate bars will satiate your desire to nibble on a little something while enjoying the delectable smoothness of fine quality chocolate. Buy crunchy milk chocolate bar online at the best price from Smoor. We blend premium ingredients with the perfect craftsmanship to bring you an absolutely delightful shopping experience. 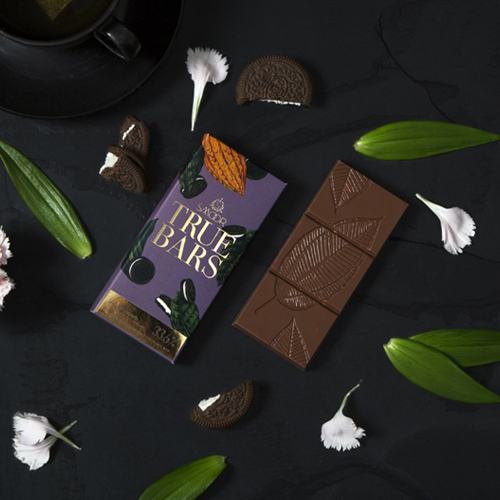 Surprise yourself with that perfect crumble as you bite into this bar. Buy biscuit crunch online today and check out our awesome collection of chocolate products. Find the flavor your desire and order today! Smoor provides one of the best online chocolate deliveries in Bangalore.